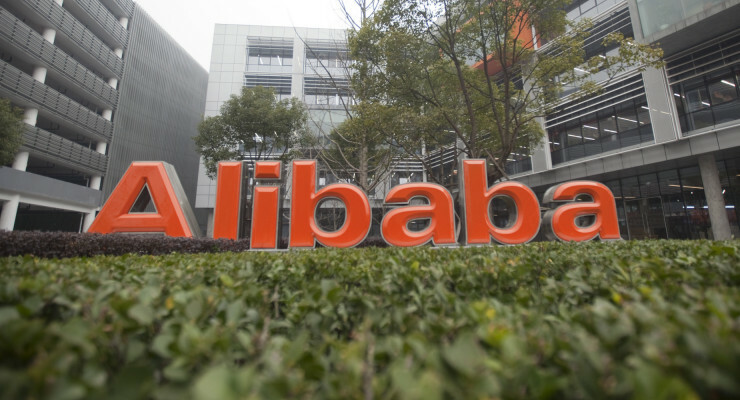 After courting investors for months, on Friday Alibaba Group Holding Ltd (NYSE: BABA) finally made its debut in the U.S. stock market, the NYSE, in a frenzy after it received oversubscription of its shares. Alibaba shares were priced at $68 but open trading at $92.70 and closed 38% above its IPO price. The Hangzhou based e-commerce giant has been the subject of discussion in the investment world. There were fears that there would be investor apathy, but the stock traded more than 100 million shares just moments after its Chairman Jack Ma rang the opening bell to herald the entry of Alibaba in the stock market. The company raised about $21.8bn in its share sale, and sold additional 48 million shares through the green-shoe option after investors demonstrated a strong appetite for its stock. In total the China’s e-commerce giant raised over $25 billion, breaking China’s Agricultural Bank that raised $22.1 billion in 2010. Every tech IPO makes millionaires and Alibaba IPO is no exception. From its founders, employees to investors, Alibaba is has produced millionaires through its debut in the stock New York market. Japanese SoftBank is the largest Alibaba shareholder with a 32% stake. The company expected a total of $4.6 billion from a successful Alibaba IPO. The IPO was not just successful; it was outstanding as the share price opened trading at $24.7 higher than its IPO price and jumped 38% on its first day of trading. Considering that Masayoshi Son invested just $20 million in Alibaba in 2000, his investment will pay handsomely. The U.S. internet pioneer Yahoo! (NASDAQ:YHOO) is Alibaba’s second largest shareholder 24% stake. However, the floundering American tech giant is known to have sold part of its stake. As I said in the past, Yahoo and SoftBank shares provided a shortcut to benefiting from Alibaba IPO. It appears many people took this advice and just after the Alibaba IPO, Yahoo traded over 90 million shares, 3 times more that its daily average volume. Alibaba chairman Jack Ma and vice chairman Joseph Tsai lead a team of other Alibaba 10 top executives who are smiling all the way to bank after the Friday IPO. Initial filings show that Ma had 206.1 million shares, while his vice had $83.5 million shares. Even at the IPO price of $68, this shares are worth a fortune. The remaining 10 executives owned close to 52.3 million shares stake. Alibaba’s second biggest individual windfall will be for Tsai, Alibaba’s vice chairman. His 83.5 million shares will be worth between $5.5 billion and $5.68 billion at the current price range. And he’s selling around $300 million worth of shares. Alibaba is a leading e-commerce company that operates various online marketplaces in China. The company controls over 80% of China’s e-commerce and is now seeking to reach the more advanced markets such as the U.S. and Europe, and emerging markets such as Malaysia, India and many more. Alibaba is an internet harbinger for the first trillion dollar company. It transacts more sales than Amazon and eBay combined. What’s more, it does not stock products as Amazon does, and so its expenses are relatively low. Alibaba is also into banking services and operated a payment service unit known as Alipay. However, the company furtively divested this unit and this was among the thorny issues Jack Ma had to explain to investors. As at now the PayPal-like payment unit is an affiliate of Alibaba. The company has also invested heavily in the digital entertainment market. The company has stake in video games segment, movies and many more. The company recently completed acquisition of ChinaVision and renamed it Alibaba Pictures. In the digital entertainment industry, Alibaba competes with Asia’s largest public listed company Tencent Holding Ltd. (OTCPK: TCEHY).